CERIC-ERIC is bringing together researchers from its partner facilities and industry representatives for a one day Research to Business (R2B) meeting at the CERIC headquarters in Trieste on October 20th, with the objective of encouraging and strengthening the collaboration between the parties. 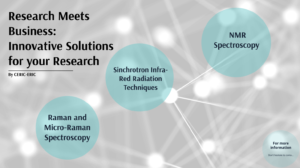 During the event, organized in the framework of the ACCELERATE project and in collaboration with the project partners, researchers will present some of the applications of synchrotron techniques and Nuclear Magnetic Resonance (NMR), for sectors such as textile, food, biomedical and polymers. Using these and other complementary techniques, it is possible to perform quantitative and qualitative chemical and biochemical characterisation of organic and inorganic molecules with a micrometric and nano-metric resolution, study mass transport processes, as well as the morphology and the electronic properties of complex materials, among others. Go to the page of the event.